« Could punters be getting it wrong again? 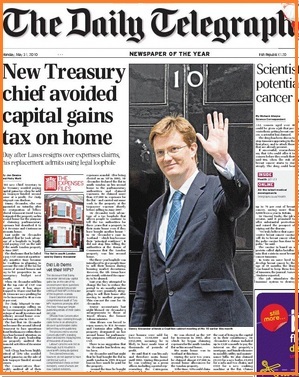 The target is the new Treasury Secretary, Danny Alexander who, according to the report, did not pay capital gains tax on the sale of a property. Has he operated illegally? Apparently not. So what’s the big the deal? Is the paper suggesting that citizens, not just MPs alone, should so arrange their affairs to maximise the tax they pay? That’s getting into a dangerous and contentious area. It will be interesting to see what impact this story will have.